The Compass: Missing School Matters! Attendance is essential for student success. 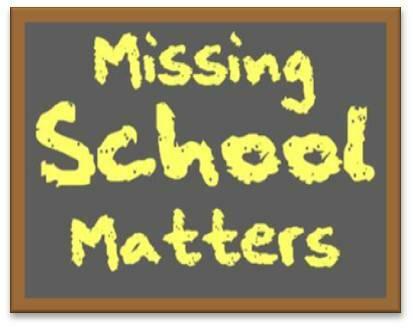 When students miss school, they miss educational opportunities. When students are tardy, it interferes with their learning and is also disruptive to other students in the classroom. Over time, 10 minutes here and 10 minutes there really adds up. It is critical that students attend school every day, all day. 7:50 a.m. Students enter the classroom. This is a time to complete daily routines and to prepare materials for the day. Many students also begin their morning work at this time. 8:00 a.m. First bell rings. The morning announcements begin. 8:10 a.m. Second bell rings. All students should be in their classrooms and instruction begins. 8:11 a.m. Students arriving at this time or after are TARDY. Students should be escorted into the building. The adult must sign the students into school. 2 – Present a valid, government-issued photo ID (i.e., driver’s license, state ID or military ID) to the receptionist. 3 – Sign the student out using the Lobby Guard kiosk. 4 – Wait in the front office for the student to arrive. * A parent or parent designee arriving on campus in less than adequate time to be in the front office by 2:15 pm will need file into the car rider line where the student will be released during regular car rider dismissal.